In Part 4 I promised to present a better solution to the model serialization problem. In Part 5 I will introduce Errai RPC (Remote Procedure Calls) and show you a service implementation for our UFTasks tutorial. Here we have defined two methods, load and save - their purpose should be obious. Note that since this service will be passing a TasksRoot model object back and forth, the TasksRoot class must be annotated with @Portable (see below). This is our implementation class for the service. Note that Errai already provides a JSON marshalling class - how convenient! 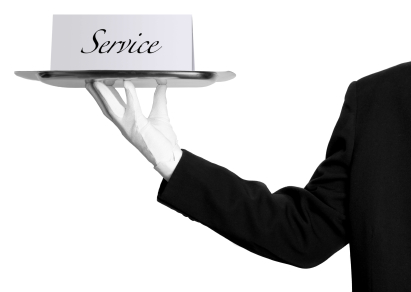 Notice here that since this service is being executed on the server side, the VFSService is a "peer" and can be called directly instead of having to use a Callback. Recall that, on the client side the client had to invoke VFSService asynchronously because information was sent over the wire from client to server and then back to client. Finally, our model objects need to be annotated with @Portable. This tells Errai that the object will need to be serialized so that it can be sent over the wire between client and server. Errai uses Java reflection to traverse the object's class definition. This means that any class fields that are not primitive types, or simple java List types must also be annotated as @Portable - in our case the Project, Folder, Task and TreeNode class definitions. Errai does include an extensive marshalling framework, and we could provide our own custom serialization and deserialization routines instead of relying on Java reflection, but that's a more advanced topic that I may cover later. parent-with-dependencies: declares all dependencies and versions of the archetype. 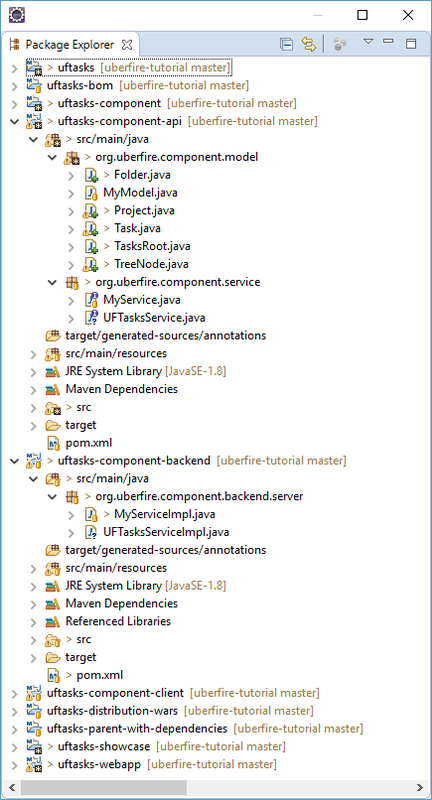 component: the uberfire component project containing server-side, client-side and common components. showcase: uberfire showcase directory containing the web app and distribution-wars. Notice that the model objects have been moved to the components project since they are now considered "shared" between client and server. The same applies to the UFTasksService interface, since this is used by both client and server code. The UFTasksServiceImpl implementation however now resides on the server side. If you are using Eclipse, this is simply a refactoring operation and all references to these classes should be updated automatically. If you get confused you can always grab the latest code from here. Notice that Errai inserts a bunch of metadata into the JSON. This is required so that the marshaller knows exactly how to reconstruct the model when parsing this JSON. Don't make me turn this blog around and go back home! 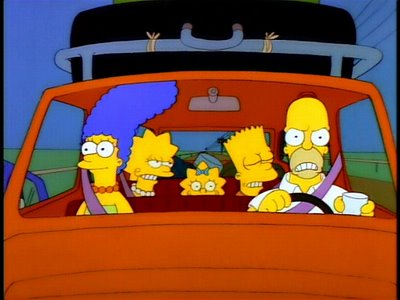 Of course we aren't there yet! So, what's next? In the next installment I plan to explore the differences between WorkbenchPartViews and WorkbenchEditors. One could argue that everything a WorkbenchEditor does can also be done by a WorkbenchPartView, but who am I to blow against the wind. Stay tuned.